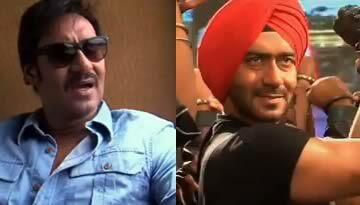 Watch 2013 remake movie Himmatwala trailer starring Ajay Devgan, Tamanna Paresh Rawal. A Sajid Khan Entertainer. Himmatwala is remake of 1983 Jeetendra and Sridevi starrer Blockbuster film Himmatwala. The remake is directed by Sajid Khan who is always been fascinated by the typical Bollywood cinema. He always used those typical filmy elements in his movies to create fun, like in this trailer: Ajay Devgn says to Tamanna arey, 1983 hai yaar pallu fado aur bandh do. This new Himmatwala (2013) features Ajay Devgan and Tamanna in lead roles and Mahesh Manjrekar will be seen playing the antagonist. 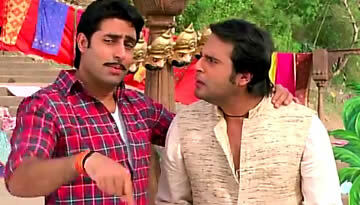 The film also also features the actors like Paresh Rawal, Adhyayan Suman and Zarina Wahab. The original Himmatwala was written by Kader Khan who also wrote the dialogues. Now in this film dialogues will be written by Sajid-Farhad who has been very successful in comedy films. Music: Music of earlier Himmatwala was composed by superhit composer of 80s Bappi Lahiri who has produced songs like Taki O Taki, Nainon Mein Sapna etc. in 83's Himmatwala. The new Himmatwala's music is composed by Sajid-Wajid and songs are being written by Sameer Anjaan. The 80's will be back!